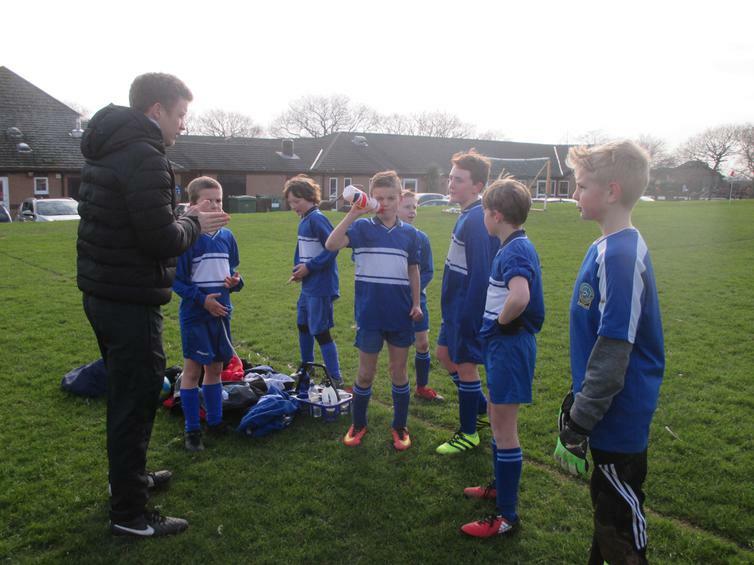 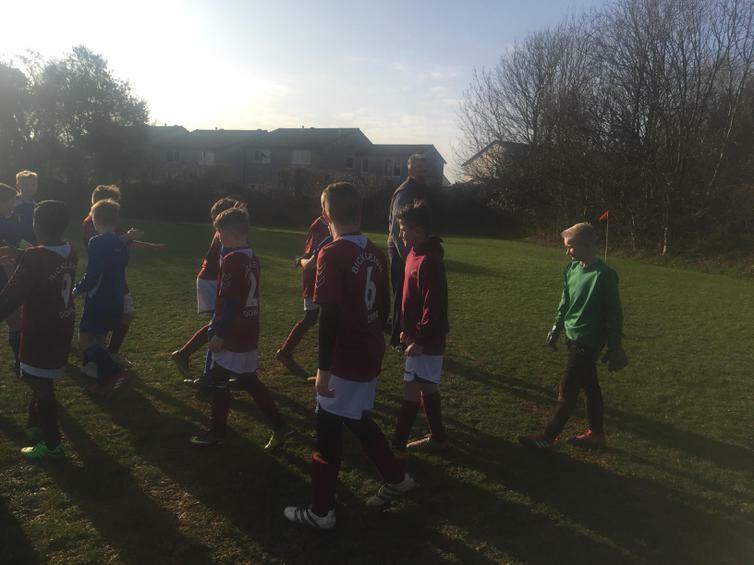 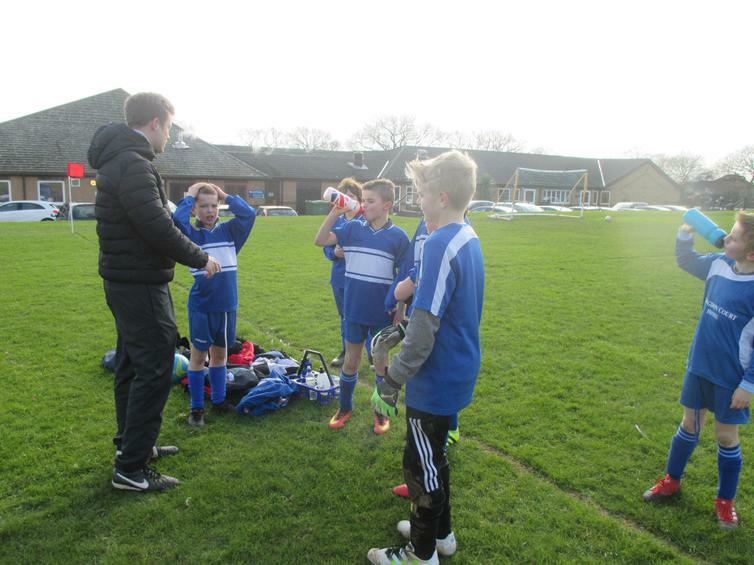 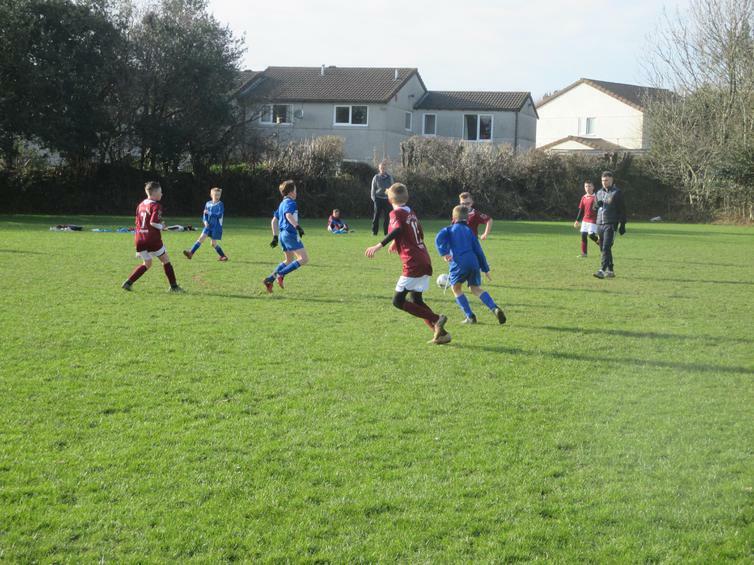 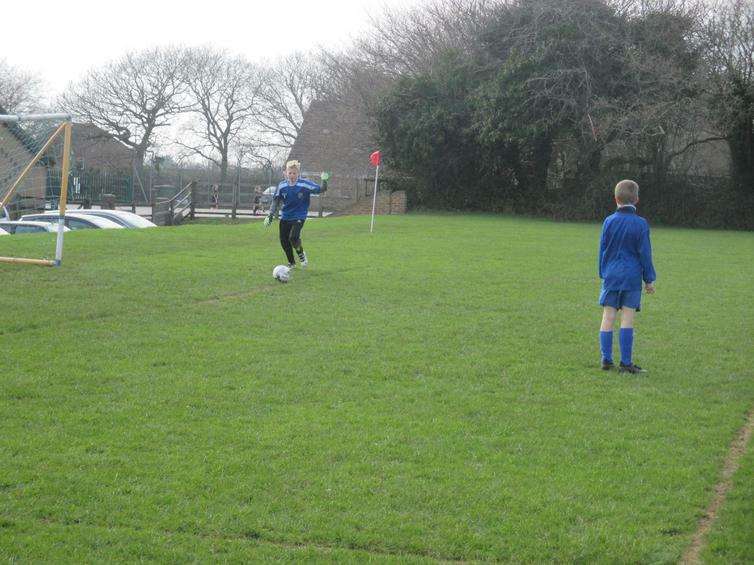 It may be the last day of half term, but there is always time for one last match for our fabulous Wembury football team. 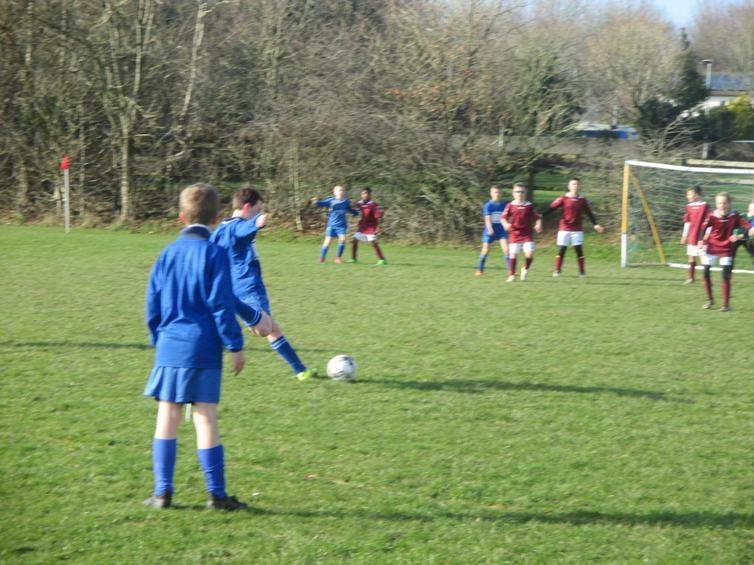 A much anticipated re-match against Bickleigh Down Primary school. 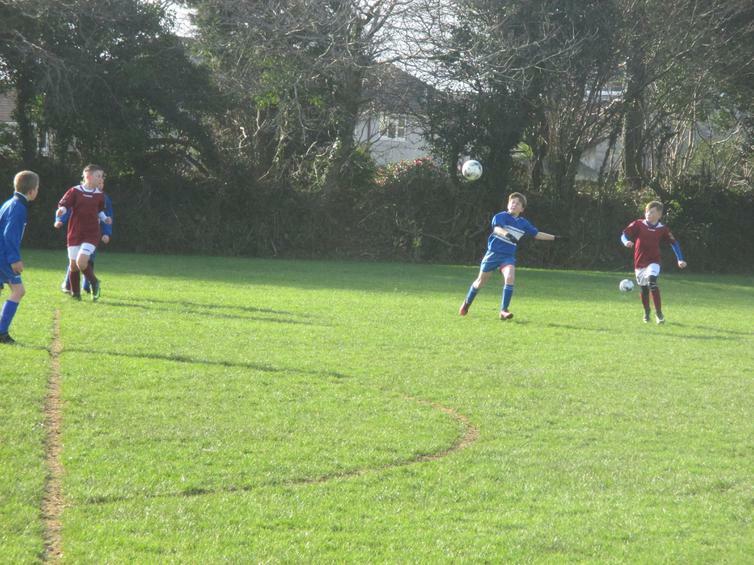 Always a close game against them with some super skills shown from the players on both sides. 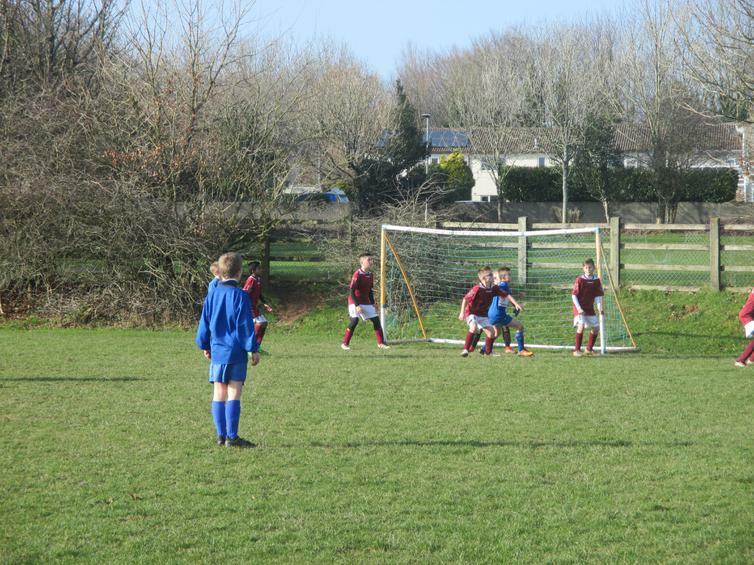 A fast start to the game with both sides on the attack hungry for the first goal, a few fabulous saves from both keepers before Bickleigh took the lead. 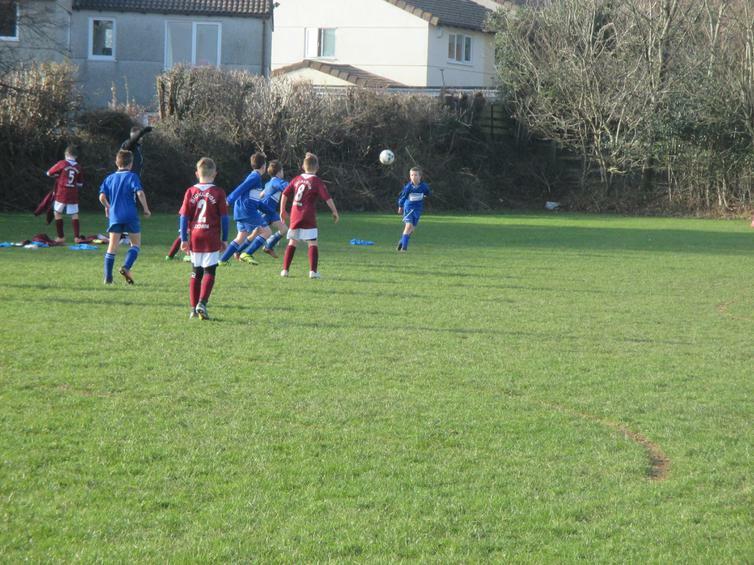 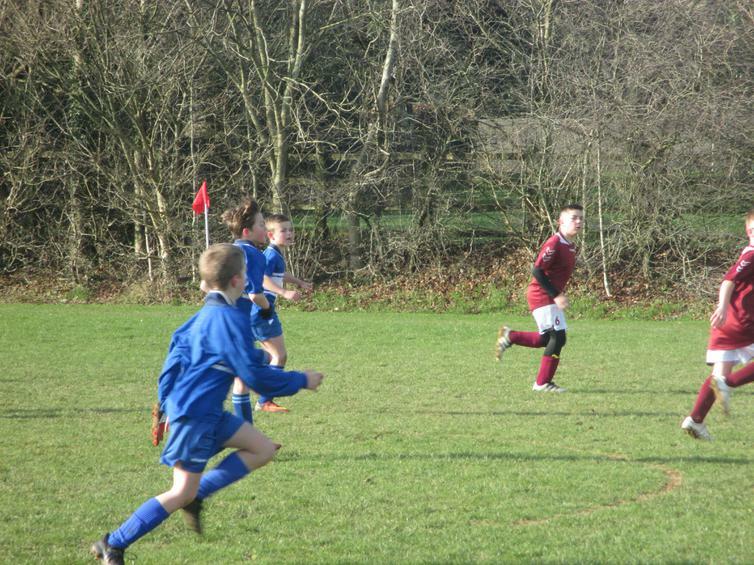 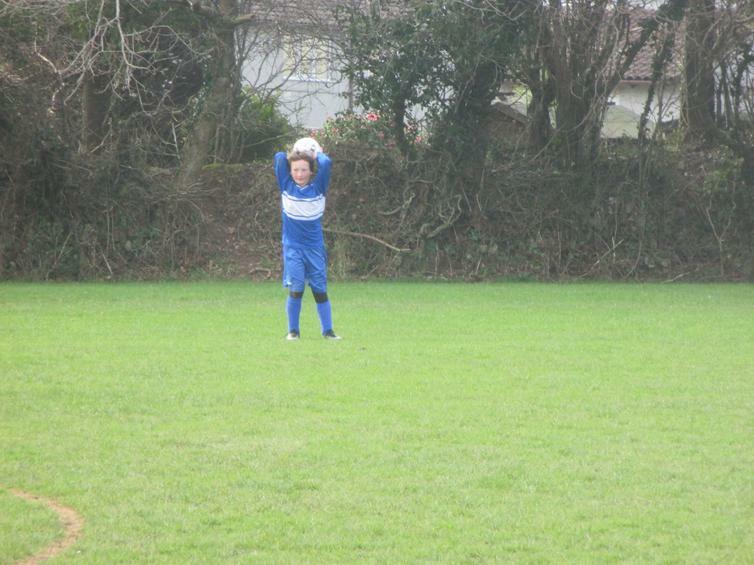 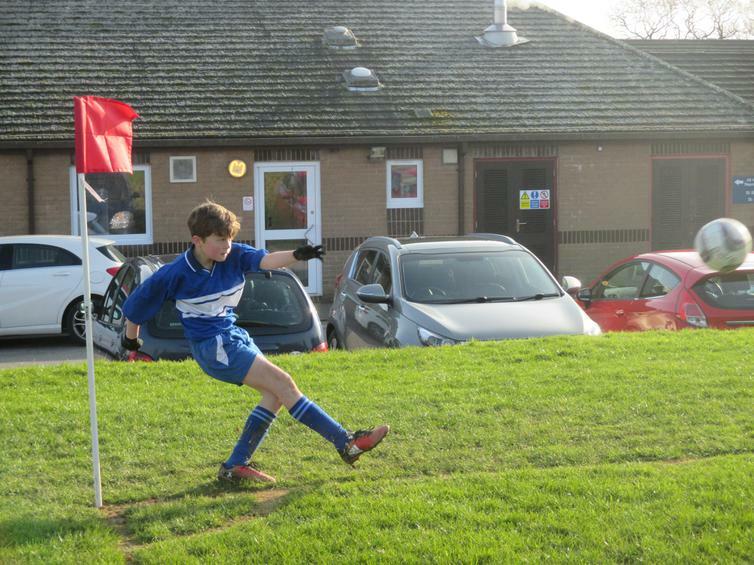 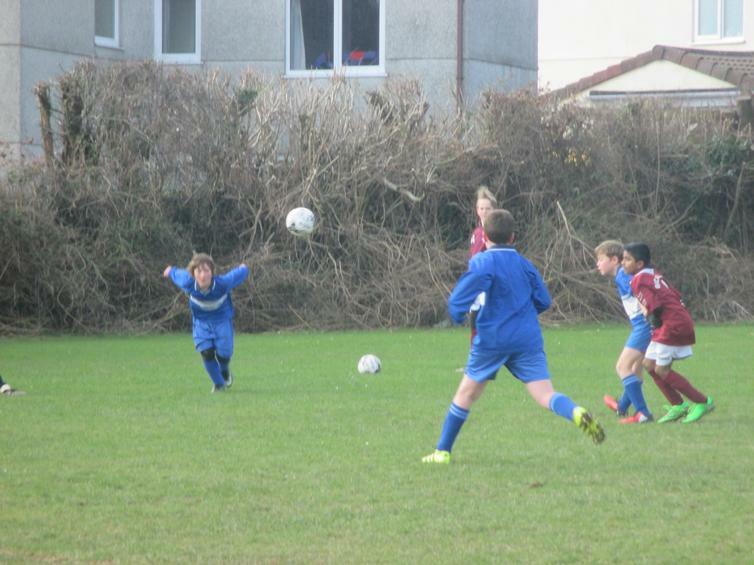 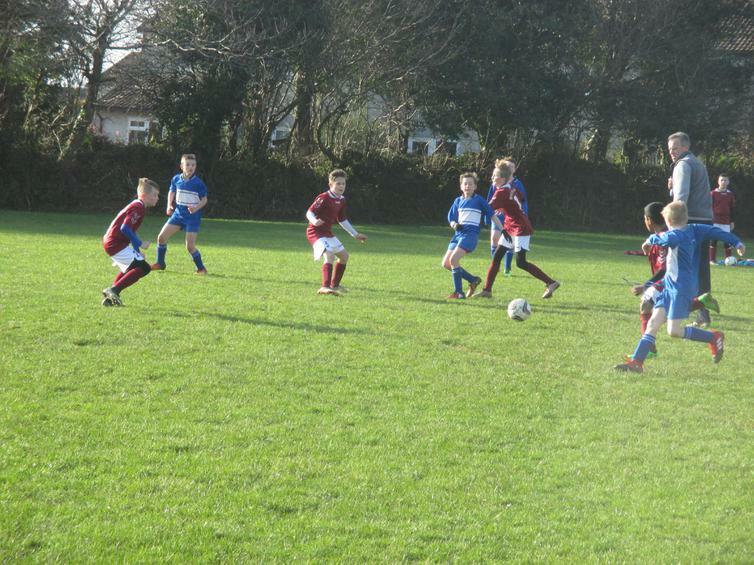 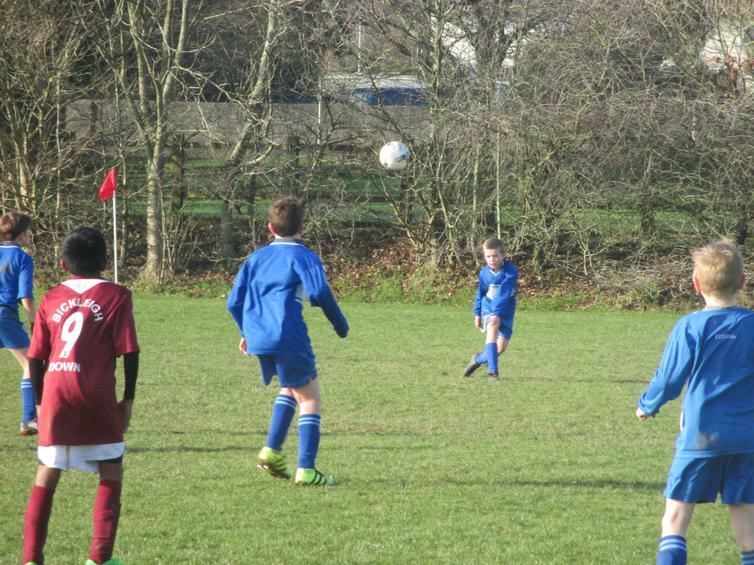 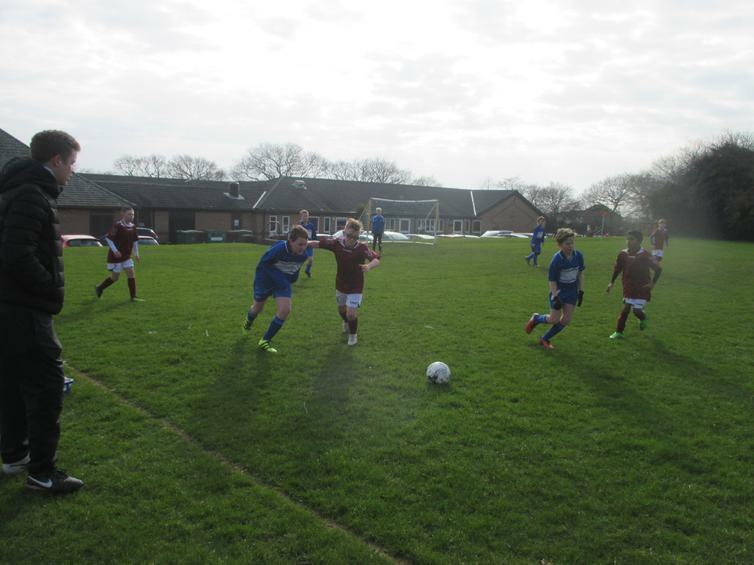 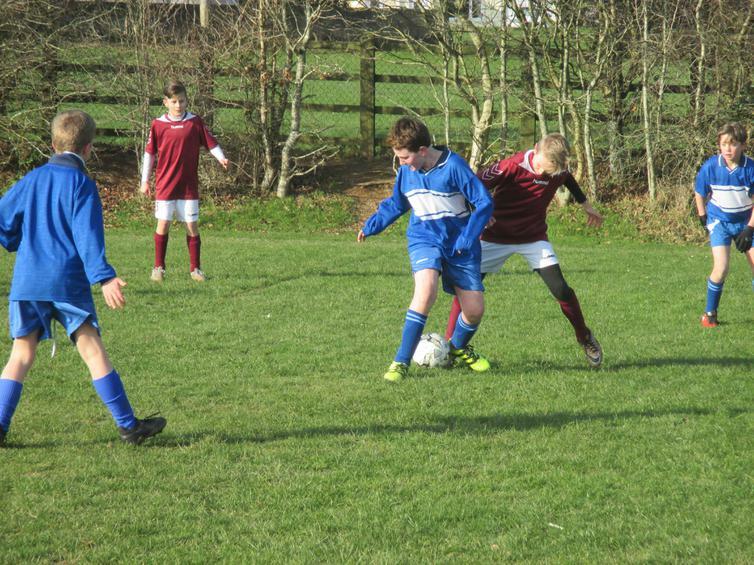 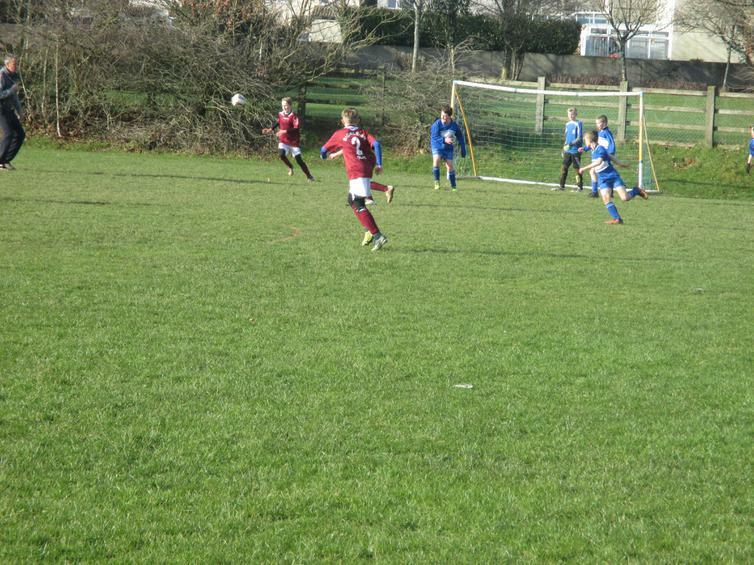 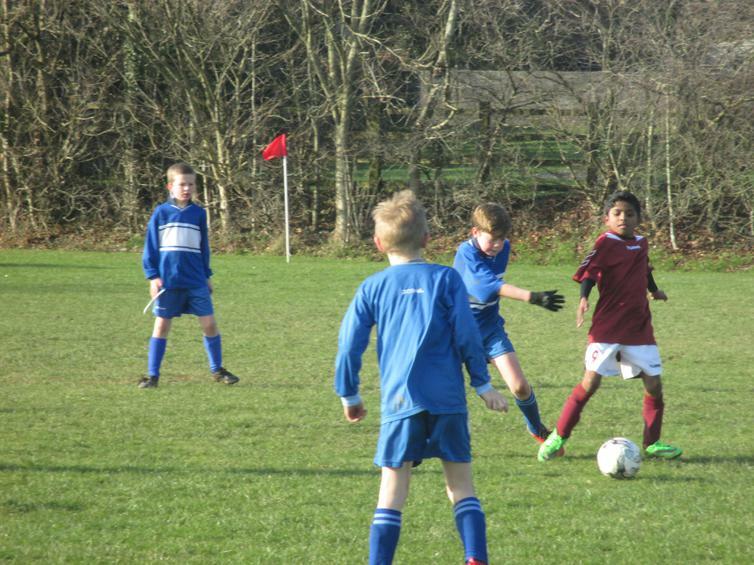 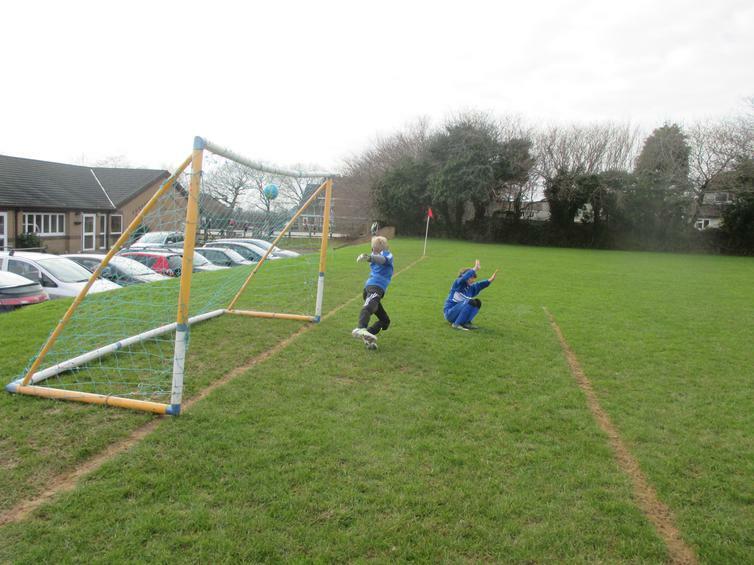 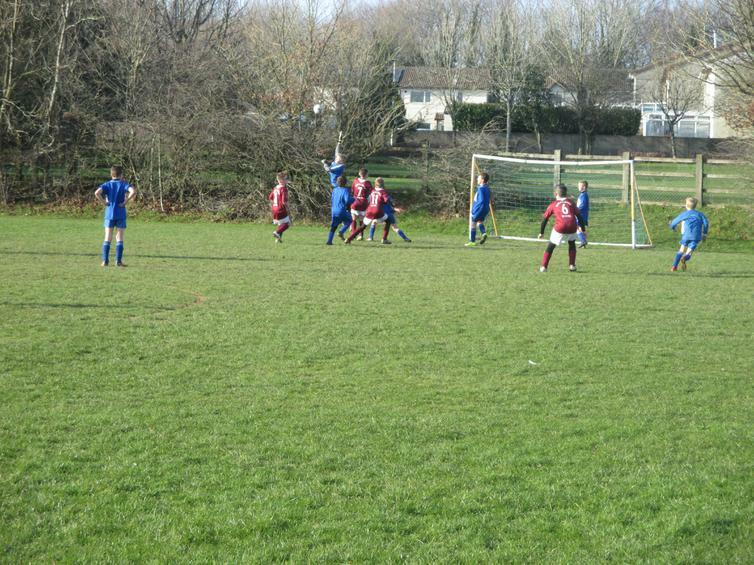 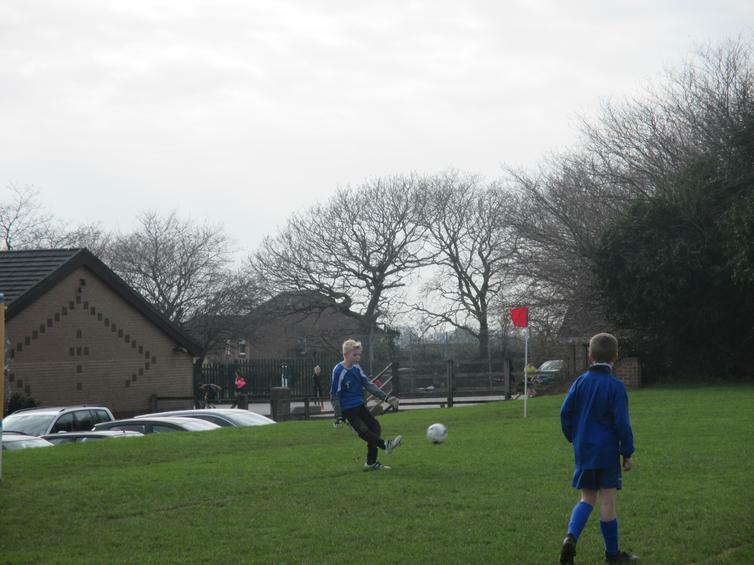 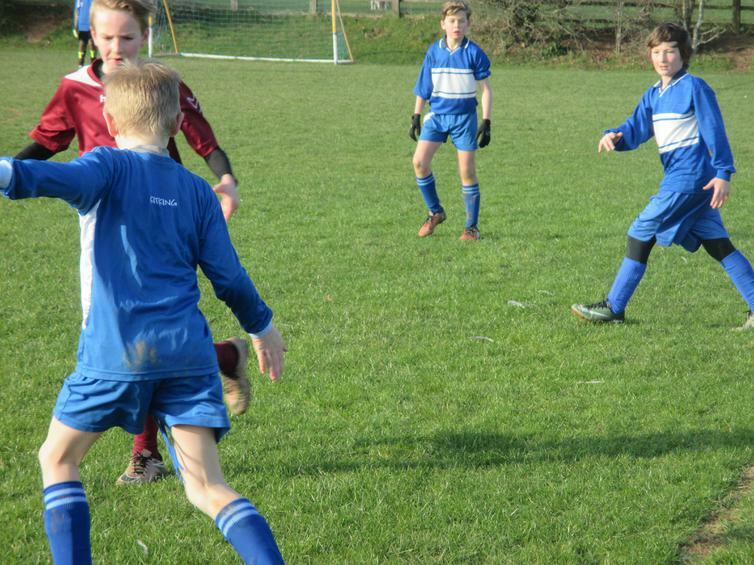 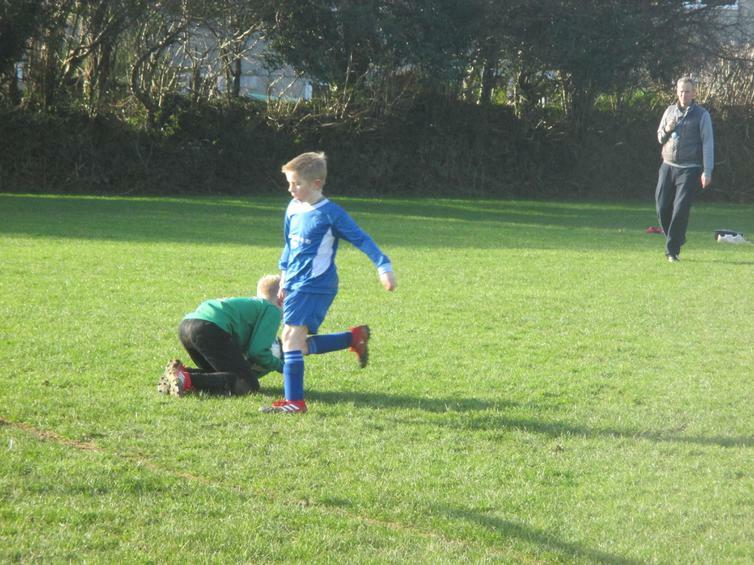 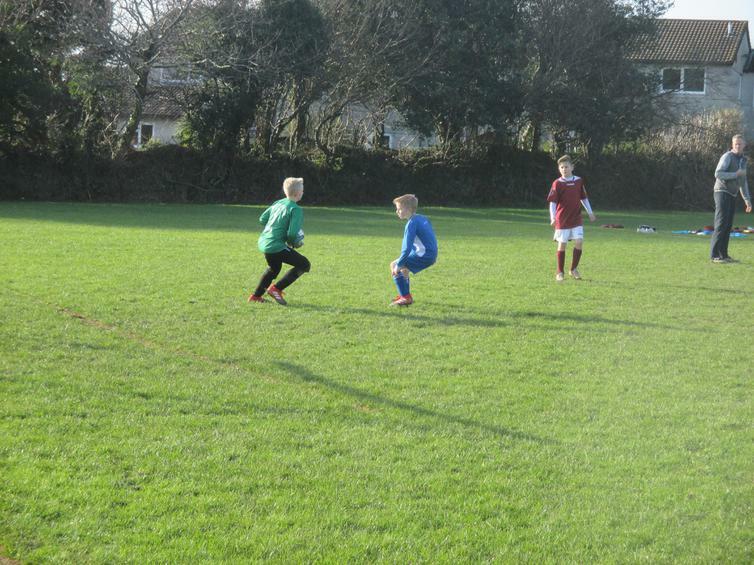 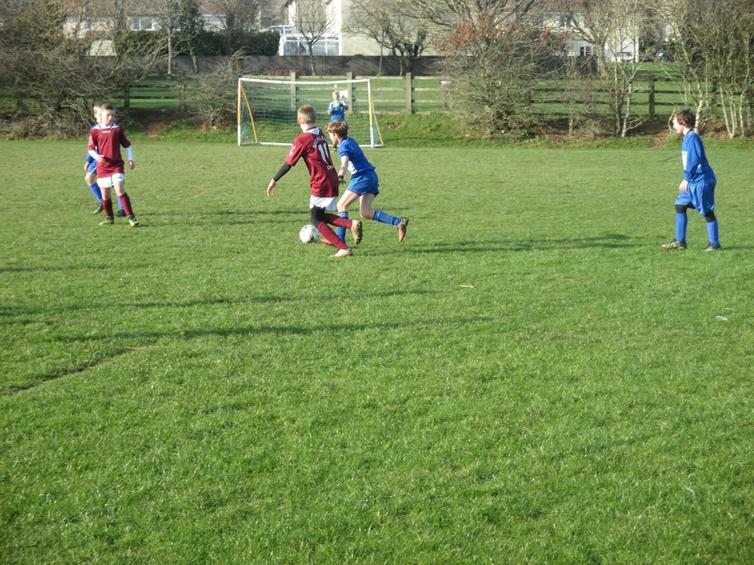 This made our Wembury boys dig deep to find the equalizer which came quickly. 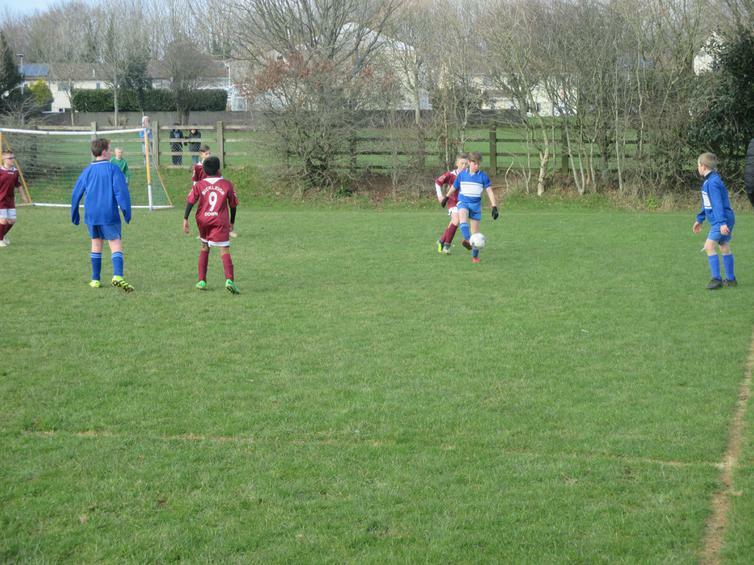 Bickleigh asked another question soon after, which Oliver answered again, always in the right place at the right time, making it 2-2 at half time. 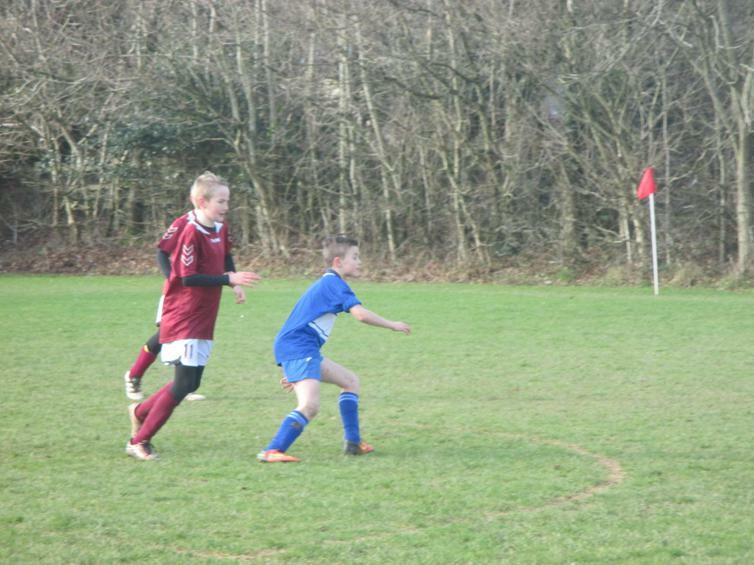 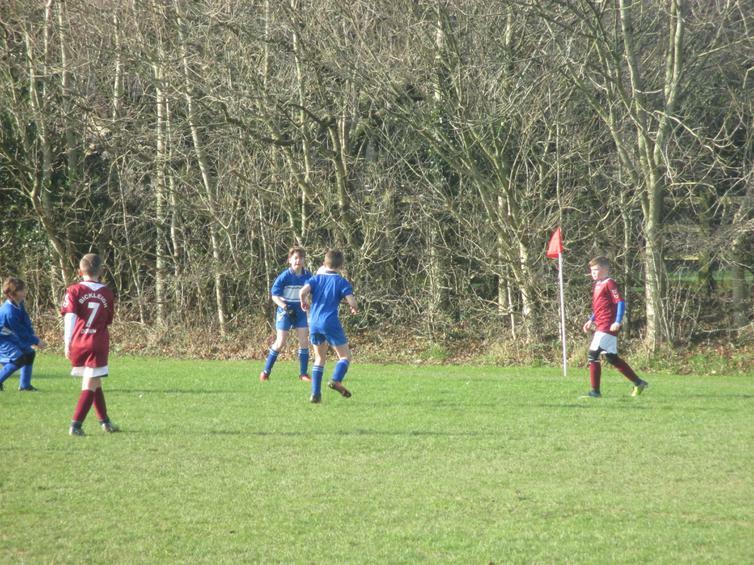 Bickleigh never being a team to settle for a draw fought on with a series of attacks on goal. 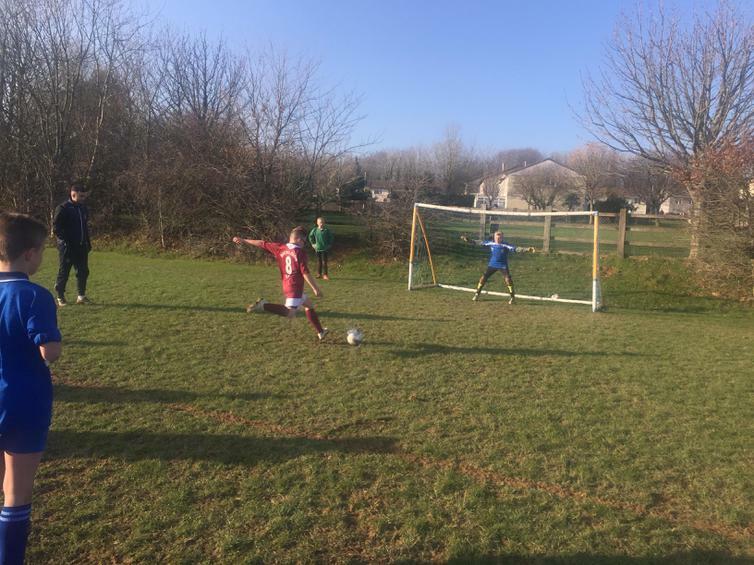 Our super goalie Bram making a number of saves and some brilliant defending from Lennie and Alexander with Harvey relentless in his challenges but Bickleigh managed to get their third past us. 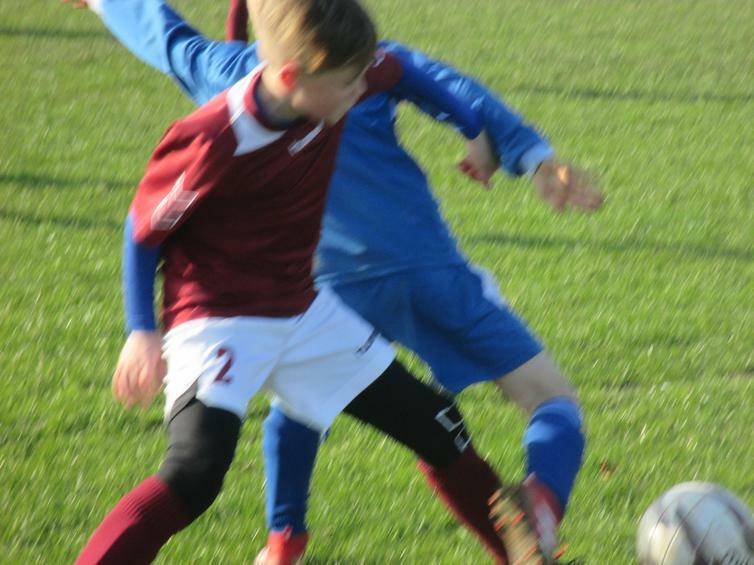 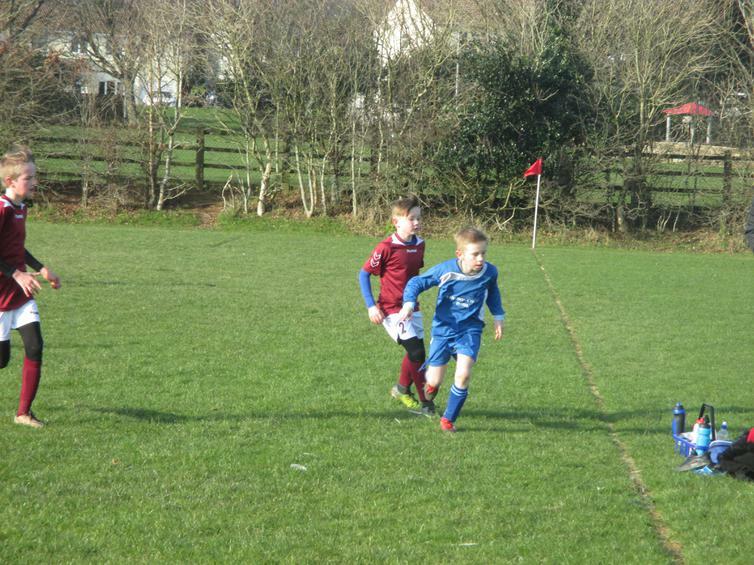 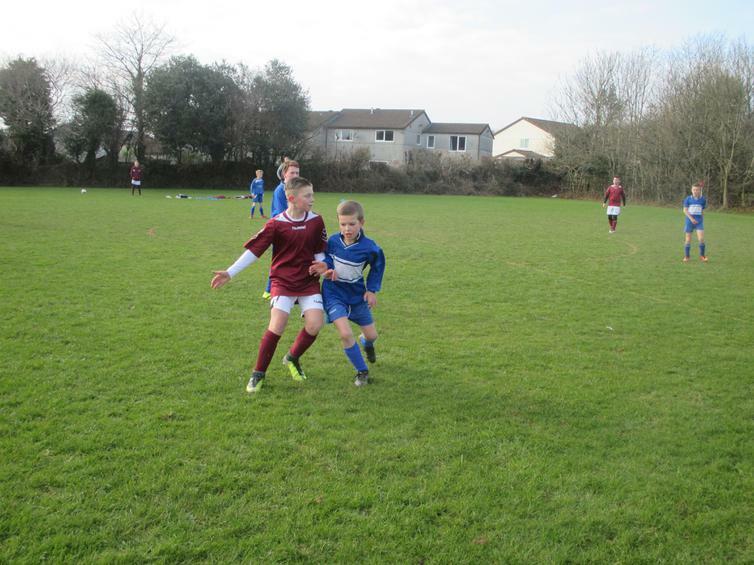 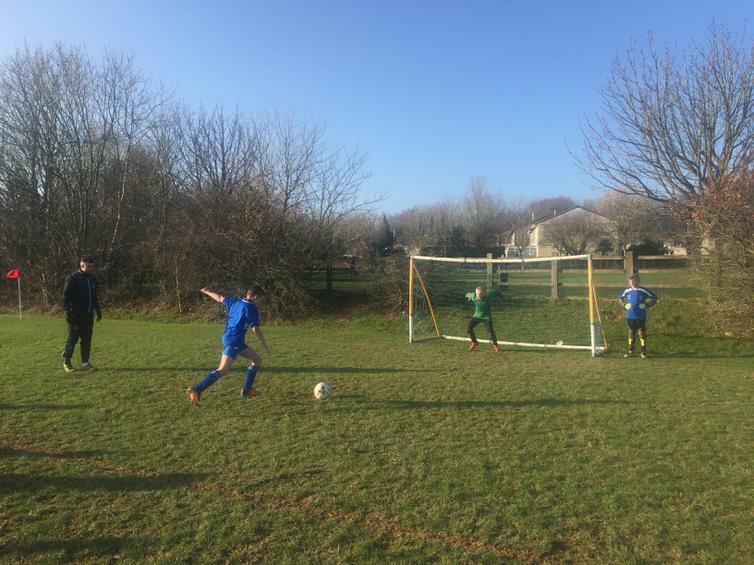 With 12 1/2 minutes to go, Wembury were not done yet, Kai and his skillful feet, Aidan with his great runs and constant pressure and the team really working together and Aidan found the back of the net taking it to 3-3 at full time. 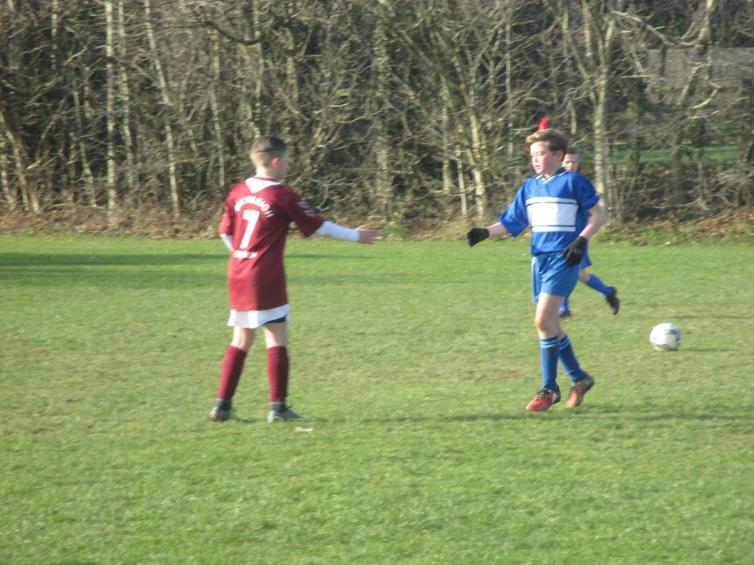 But both teams were not done yet. 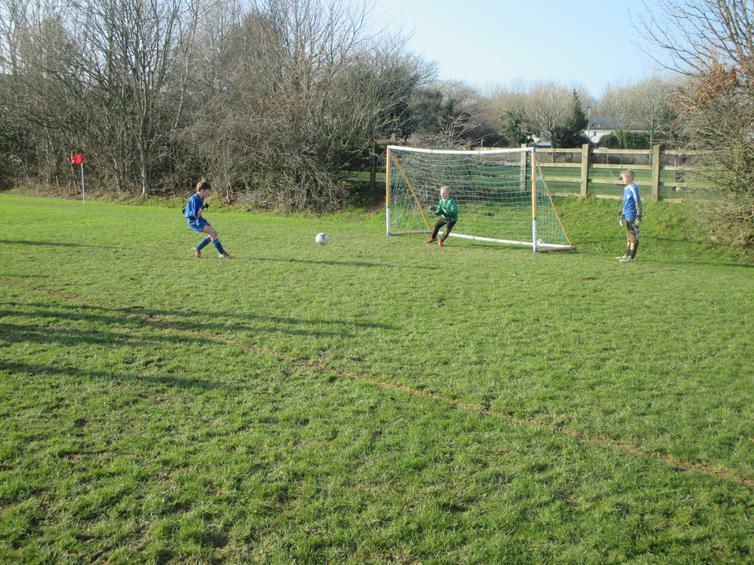 All players voted for a penalty shoot out, which proved an exciting end to an exciting game. 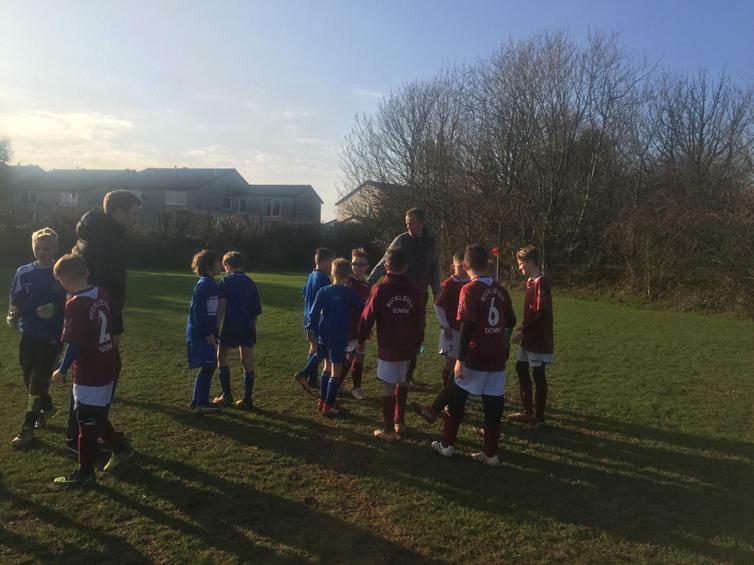 All the players lining up to take their shots, some super goals and some really impressive saves from both keepers ended with Wembury on top at 8-7. 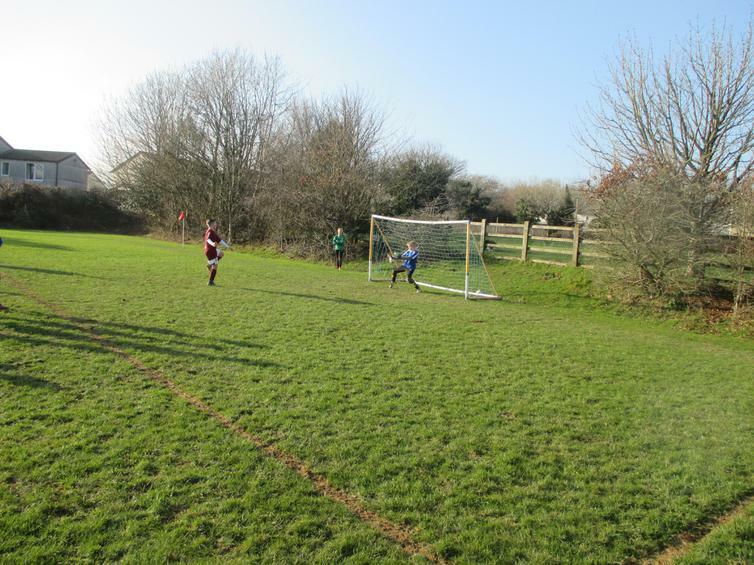 Man of the match went to Bram for some seriously good goal keeping and nerves of steal in a penalty shoot out, but it could have gone to any member of today's team. 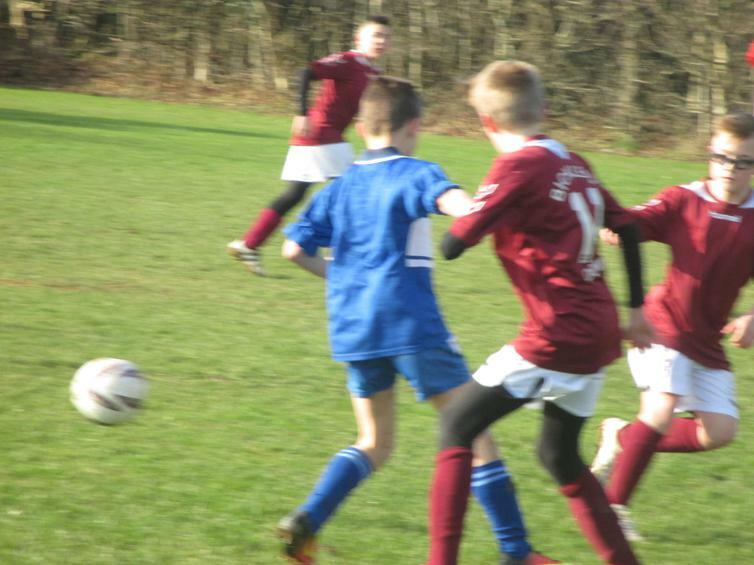 A really close game with both teams showing real skill and passion for the game and their team, sometimes you have to remind yourself its a primary friendly! 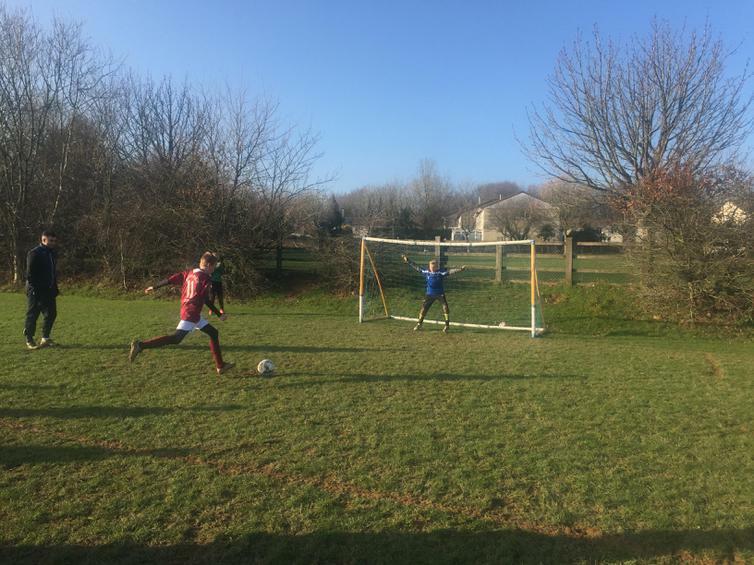 Thank you to Bickleigh Down for hosting a great match and well done to the Wembury boys, relax and enjoy half term, until next time!